Everest view trek is a short trek in the Khumbu region that will not fail to mesmerize you in every way. Many get confused with the name and are concerned if this trek only guarantees the views of Everest. But, in reality, the trek not only takes you to the view point to witness world’s highest mountains but also showcases you beautiful sherpa communities, cultures, traditions, monasteries and tea houses. Furthermore, there are very less chances or no chances at all of you having altitude sickness as the trek never surpasses such altitude. On the other hand, in terms of difficulty, on a scale of 1 to 10, this trek is around 5 and that means very less exhaustion and more surreal experience. Alike majority of the treks in the region, Everest view trek as well begins from the most adventurous airport of Lukla. This trek is very flexible in terms of time, so you can complete the trek either within a week or take your time and extend it for around 2. However, whatever the time frame, you will not miss a thing even if this trek does not reach to an elevation of 5000 meters. 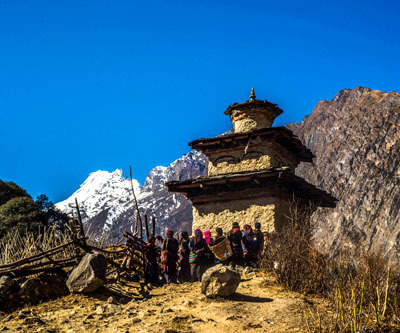 Few noticeable villages that you will see while on the trek are Namche, Khumjung, Tengboche. 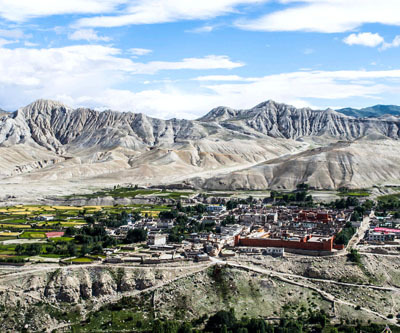 These villages are noticeably large, predominantly inhabited by Sherpa people and vibrant. Two of the most famous monasteries namely Khumjung monastery and Tengboche monastery is housed in the village development committee of Khumjung. These monasteries are famous in the entire Khumbu region. The prior one for housing a so called yeti scalp and the later one for having some mythical power. Tengboche monastery has survived several catastrophes and yet it has made it this far, being restored time and again to its original. These monasteries and villages become lively in Buddhist festival and especially in Mani Rimdu. 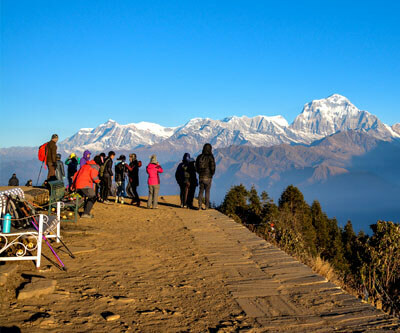 Surprisingly, Everest view trek does not fall back to amaze you with the mountain scenery. To your surprise, except for few villages below Namche, you would be able to see the Everest from almost all the villages. Time and again you will as well walk on off the beaten trails to escape the influx and at times you will walk through trails pine scented and surrounded by pine trees. You will listen to the music played by the gushing rivers and whistling wind. If lucky, you will witness Himalayan Thar grazing on the barren cliffs, birds of different species in their natural habitat and you will no doubt see all shapes and sizes of yak. In a very short time period and with no added effort, Everest view trek offers you your dream destination and lifetime worth of memories. 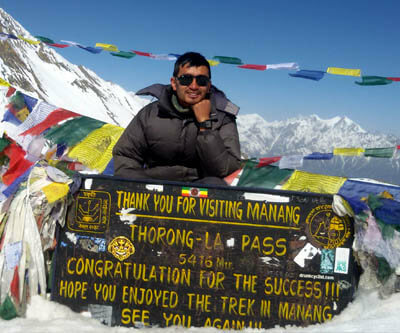 Book this trek today and live your dream ! Day 06: Namche Bazaar – Tengboche (3864m/12,673 ft): 6km, 4-5 hrs. Day 07: Tengboche – Namche Bazaar (3440m/11,280 ft): 8km, 5-6 hrs. Day 08: Namche Bazaar – Lukla (2642m/8668ft): 18km, 6-7 hrs. Day 09: Flight back to Kathmandu and free afternoon. Welcome to Nepal ! A representative from Crown Earth will receive you at the airport and drop you at your hotel. On this day you will not do much but relax and go around your hotel location. Overnight in Kathmandu. If you booked this trek long time back your permits are ready before you arrive but if it is a last minute booking you permits will be made on this day. While the back office is busy making permits on the back end, you will get involved in sightseeing some UNESCO world heritage sites. Some time in the day, you will as well do last minute preparation, packing and purchase if necessary. In the evening you will meet your guide and your guide will brief you about the trek. Overnight in Kathmandu. This is the last day on Everest region and your Everest base camp trek officially ends once you board the flight back to Kathmandu. Once in Kathmandu, we transfer you at your hotel. Thank you for choosing Crown earth as your adventure partner in Nepal. Domestic Air Fare (Ktm / Lukla / Ktm) for clients and Nepali Staff and Airport taxes. Nepalese Visa fee and airport departure tax.